I began reading The Overstory at a retreat for writers and artists in the North Carolina mountains, surrounded by trees showing off their fall foliage. The week seemed to be all about trees: tree poems and stories by the writers, pottery imprinted with leaves, tree paintings, and even a beautiful tree necklace created by one of the jewelsmiths. This morning when I turned the final page, the bare trees were silhouetted against a cold gray sky. The understory, or the growth and secret life of trees, is at the heart of this novel. 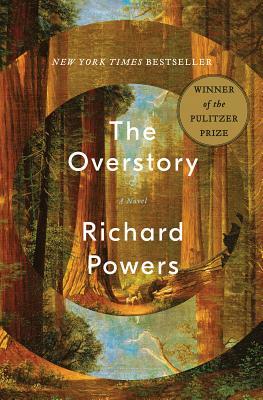 The overstory refers to the characters, who defended and cared for trees at the risk of their personal safety. Tree huggers and a scientist, a couple whose days were spent identifying trees--all understood the importance and contributions of the woodlands and forests. Our natural world is more threatened than ever, and knowledge and inspiration are crucial to our survival. This novel provides both.